It was the impossible situation that all Patriot fans knew was coming sooner rather than later. Third year backup quarterback Jimmy Garoppolo was nearing the end of his rookie contract and the decision to extend or trade the young prospect needed to be addressed. The perfect scenario was that Tom Brady would go out on top and retire, which would thrust the promising backup into a seamless transition. The only flaw in that plan is that Brady defied time yet again and didn’t show any signs of slowing down. After much speculation on how New England would handle the quarterback, Bill Belichick shipped Garoppolo to the San Francisco 49ers in exchange for a second round pick. This move confused many around the league, not necessarily because of the trade itself, but because of the return. Garoppolo’s worth seemed that it could’ve been much higher, especially after reports that the Browns were throwing first round picks into the discussion. 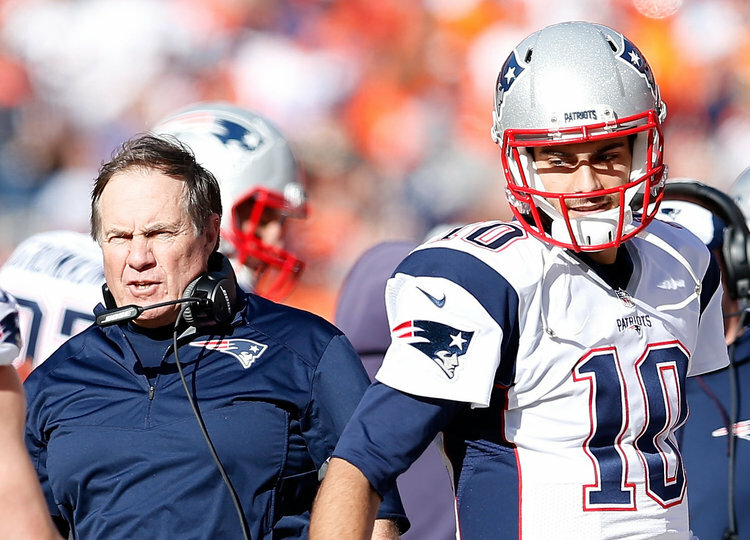 Things became even more interesting when ESPN reported that Belichick was “forced” to trade Garoppolo, which created rumors that there was turmoil brewing inside the Patriots management. To only add to this speculation, it has since recently been reported that Belichick sent congratulatory texts to Garoppolo after every win in San Francisco. It wouldn’t be surprising if Belichick did this to several other former players, but if true, it would really solidify that this pair was very close and Bill really did not want to trade the future of the franchise. Regardless if any of the inner drama with the Patriots is true, it has been made very clear that Belichick was very fond of this potential star.